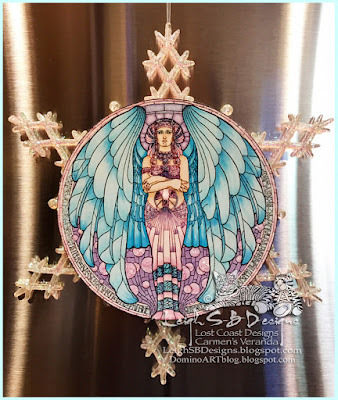 Velvet Paw Creations: "Crystal Angel" Snowflake Ornament for Lost Coast Designs DT! 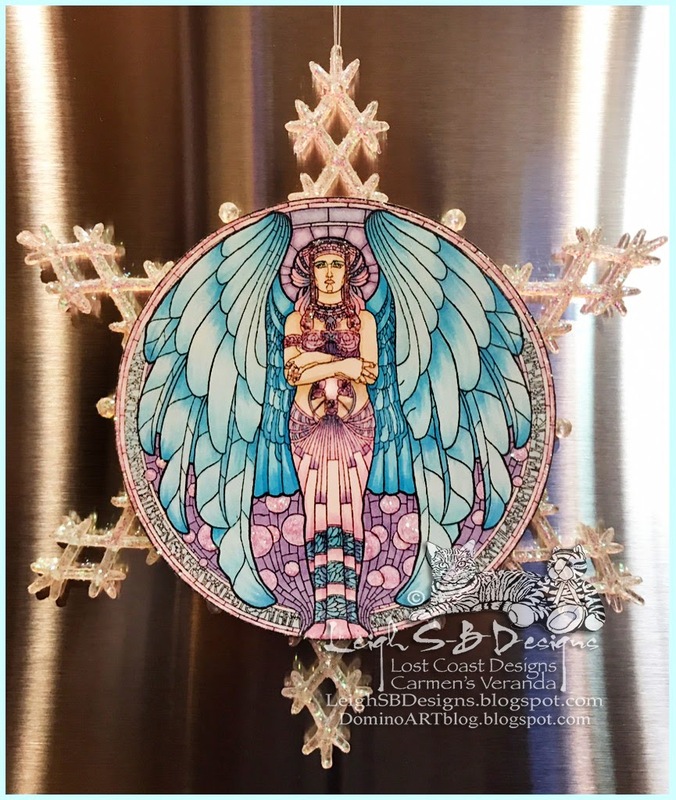 "Crystal Angel" Snowflake Ornament for Lost Coast Designs DT! 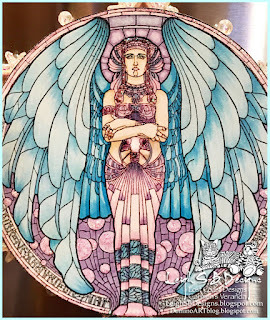 Here's my finale project featuring Lost Coast Designs gorgeous Art Deco Angel. 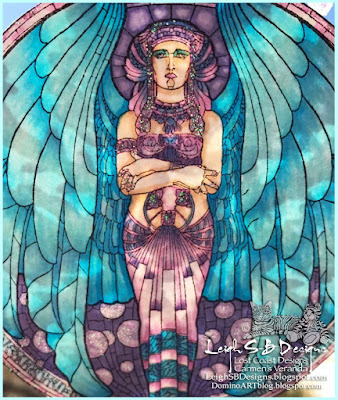 I stamped her Onxy Black Memento Ink and coloured her with Copics in a blue and lavender colour palette and added lots of shimmer and sparkle with clear Wink of Stella and Diamond Stickles glitter glue. 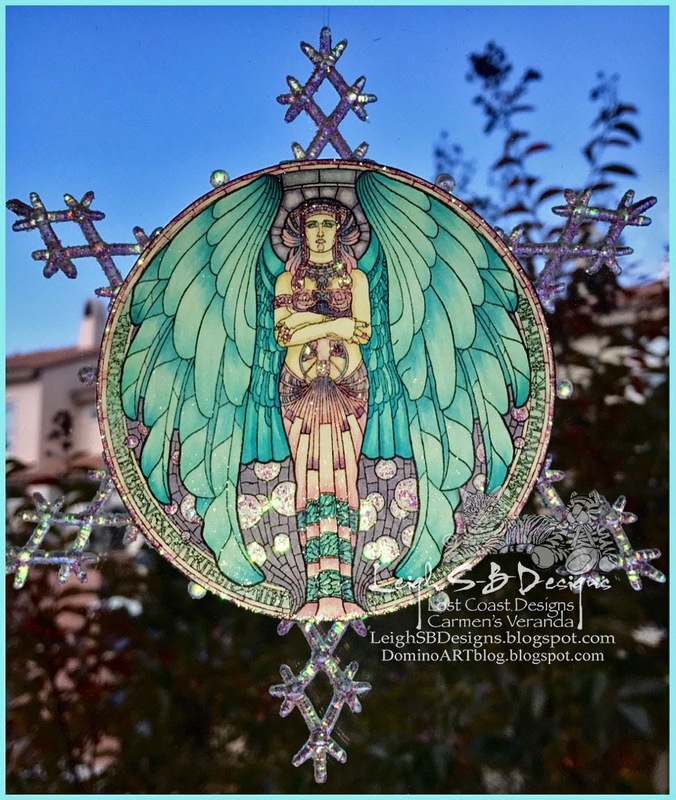 I then adhered her to a hanging snowflake ornament. 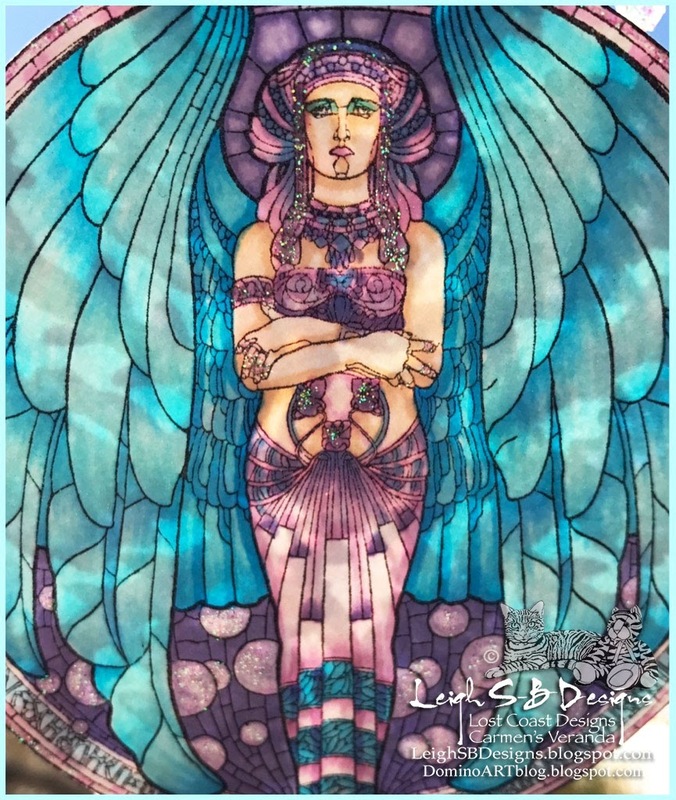 Here's a closer look at her showing her true colours. 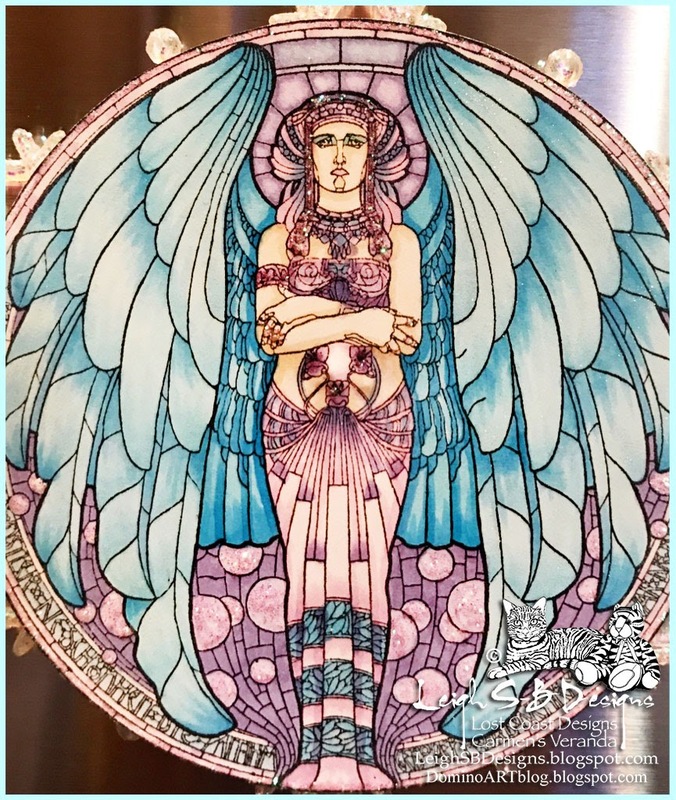 The following photos show how she transforms when hung in a window under different lighting conditions....sooooo pretty! 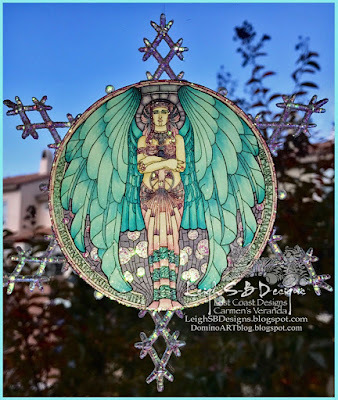 I just love how the snowflake shows behind the angel here, it gives it a stained glass like effect. Wow this is Stunning Leigh!